FULL SPEED AHEAD is proud to announce its partnership with the Adriatica Ionica Race, the newborn UCI Europe Tour stage race conceived and promoted by the former world champion Moreno Argentin. 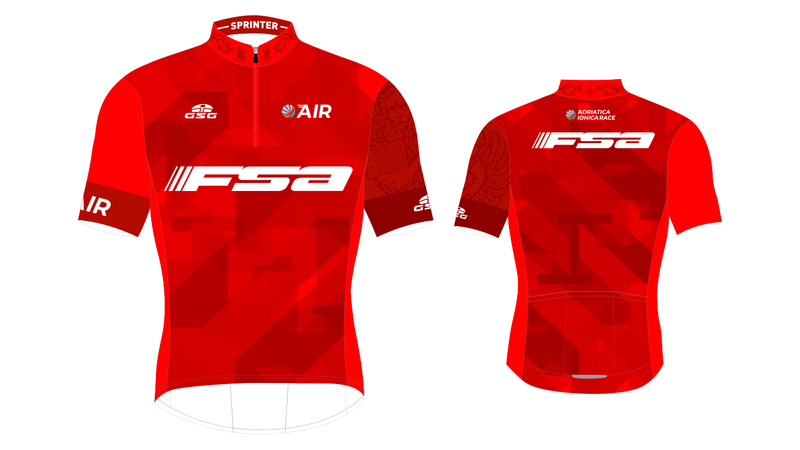 FULL SPEED AHEAD will sponsor the red jersey, which will award the best sprinter of the event at the end of the 5 stages scheduled from 20th to 24th of June 2018. "We are happy to support the birth of a new professional race in Italy" announced Claudio Marra, FULL SPEED AHEAD's global vice president of sales and marketing. "As a company we have always believed in the importance of sponsorship, as an opportunity to improve our brand awareness in the cycling competitions. So we immediately supported the Adriatica Ionica Race organizers, and we are pleased to associate our brand with one of the most prestigious jerseys of this race". The FULL SPEED AHEAD logo will also appear on the advertising signs of the Adriatica Ionica Race, accompanying the best sprinter of the edition.